AMMONNEWS - The United States is still studying possible waivers of sanctions against countries or businesses that continue commerce with Iran after November 4, Secretary of State Mike Pompeo said on Friday. At the same time he maintained the US administration's firm position toward Tehran, which Washington accuses of interference throughout the Middle East. To the dismay of other signatories, Trump in May announced his pullout from the hard-won 2015 international accord under which Tehran agreed to limit its nuclear capacities in exchange for relief from crippling economic sanctions. Trump said the deal failed to block all paths to an Iranian nuclear bomb, and reimposed sanctions. These included secondary penalties against businesses or foreign countries which continue commerce with Iran. Those firms must now choose between their investments in Iran and their access to the US market. Washington gave them some time to pull out, leaving the latest sanctions related to financial transactions and petroleum to take effect after November 4. "There are still a number of decisions pending before the November 4th deadline that we gotta make about waivers, potential waivers," Pompeo told a news conference. Washington wants all countries to halt oil imports from Iran before November 4 if they want to avoid US penalties. Certain waivers have not been excluded, however, notably for India which depends heavily on Iranian petroleum. Responding to a question, Pompeo said he did not know if sanctions would hit managers of Swift, the international financial messaging system, if they continue to deal with Iran. "Come November 4th, there will be a fundamentally different set of rules" regarding "anyone who deems it necessary to engage in economic activity with the Islamic Republic of Iran. It is a big important day," Pompeo said. He underlined that many countries had already begun to disengage themselves. The European Union, which continues to back the Iran nuclear accord, has tried unsuccessfully to obtain widespread waivers and many of its bigger companies have already pulled out of the country for fear of US penalties. 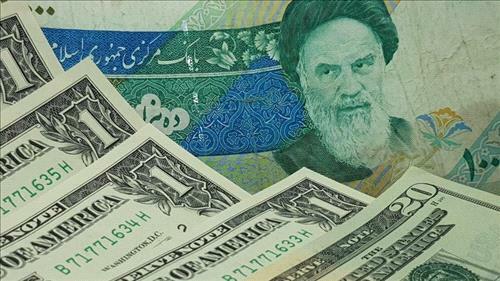 Iran in late August opened a lawsuit at the International Court of Justice, demanding the suspension of the renewed US financial penalties which it says are devastating its economy.